1. The Park is open from Sunrise to one hour past Sunset. 2. Membership window cling must be attached to the lower right side of your vehicle’s windshield. 3. Park in designated parking areas only. 4. All cookout fires are limited to the grill area. Please make sure your fire is out. 5. Please bag your trash and put it in the bins provided or take it with you. 6. Dogs & cats are permitted. Owners must obey Charlotte County General Ordinance and Special Acts Chapter 1-4, Article II., Sec. 1-4-31 Dogs running at large. Your dog/cat must be controlled by leash in hand at all times. Owners are responsible for the clean up and removal of your dog/cat feces. 7. Children under the age of 10 must be adult supervised at all times. 8. No roller skating, skateboarding or rollerblading in the entire park or marina areas. 9. Our park and marina are an alcohol and drug free zone. 10. 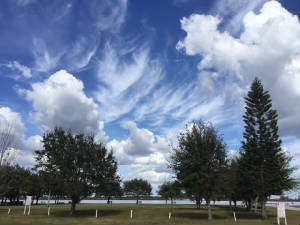 Visitors may be asked “if they are members” by other members as a way to insure use by only those Gulf Cove residents that are providing support of the Park. 11. If you notice any damage or needed repairs, please notify POGC ASAP. The Board knows that accidents can occur. We need to be informed when something happens so we as a Board can address the damage as soon as possible. We would hope that the Member would contribute to the repairs that they may have caused but this is not a reason for expulsion. Only POGC members are permitted to reserve the pavilion for family and/or personal, private type social events, if it is not being used by the Association or one of the Gulf Cove clubs. However POGC members may visit the park during a reserved event and are asked to extend privacy, courtesy and respect in the same fashion you would hope to receive. 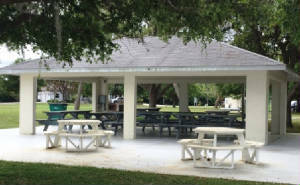 Although we do not charge a specified amount to rent the pavilion, we do accept and appreciate donations toward the maintenance and utilities. The boat ramp will remain open for our decal holders during your event so please make sure your guests do not park in the boat trailer spaces. You can contact a Board Member if you would like to reserve the pavilion. The residents of Gulf Cove have the privilege of having one of the few private boat ramp facilities left in Port Charlotte. 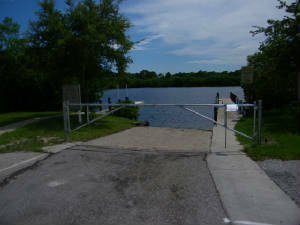 The Gulf Cove boat ramp and the land it is located on is owned by the Property Owners of Gulf Cove, Inc. The cost to maintain this property, docks, ramp, and amenities provided is funded by annual ramp decal fees. We do not receive any County, State, or Federal funding to maintain this facility. Although the Gulf Cove Boat Ramp is available to residents owning or renting property in Gulf Cove, a current Ramp Decal Sticker must be obtained from POGC and displayed on their trailer/boat before using the ramp. The decal is valid from Jan. 1 thru Dec. 31 in the validated calendar year. Decals for the new year must be purchased by Feb 1. All trailers must be registered in the name of the property owner or resident. Boat trailers and/or tow vehicles not displaying a current Ramp Decal Sticker run the risk of being towed at the owner’s expense and without notice. Ramp sticker is to be attached to the winch post facing the rear of the trailer or located as close to this location as possible. 1. Boat size is limited to a maximum overall length of 28 feet and 8.5’ beam and trailer is limited to no more than two axles. 2. POWER LOADING IS STRICTLY FORBIDDEN because it causes damage to the ramp and dock. Boat trailers are limited to only one parking space. POGC reserves the right to spot check boat trailers to ensure compliance. 3. Property owners need only send in the form with the required fees and a copy of their current boat trailer registration. Application forms may be obtained by downloading from our website at www.gulfcove.org. A Boat Ramp Decal will be mailed back to the mailing address on the application. Renters in Gulf Cove need to send in the form with their check for the applicable fees, listing their Gulf Cove address and a copy of their boat trailer registration in their name. If an individual does not have a trailer and they do buy a Decal in support of the Marina we need those people to place the sticker on the Starboard side of the windshield or console for the identification process. 4. COURTESY COUNTS. We ask that when your boat arrives at the park it is ready to launch. Please prepare your boat, fishing gear, coolers, etc. before you get to the ramp. 5. IMPORTANT GATE REMINDER: Please close, lock & spin the dial. Protection of our security gate code is vital to our membership, and those that support the maintenance of our ramp. THE SHARING OF THIS CODE IS A VIOLATION. 6. Ramp-only fees entitle you to only use the parking lot, the dock and the port-a-potty. 7. No fishing or swimming off the dock. Dock use for boat launching and retrieving only. Violators of said rules will be addressed by either the President or a board member first by making the said offender aware of the violation in a verbal manner. Second offense will be a written notification with documentation. Third offense will result in termination of POGC Park and or Marina membership(s). Any protest of expulsion is covered by POGC BY LAWS - Article 3, Section 1, paragraph (3). Any and all violations totaling 3 will result in expulsion. A waiting period of one calendar year is necessary before you can apply for reinstatement. Habitual violators will be addressed on a case-by-case basis. Please note there is a county ramp in El Jobean available for use by those residents unwilling to help support and maintain our Gulf Cove private boat ramp through the purchase of the required decal. The Property Owners of Gulf Cove thank you for your cooperation with the above policies. Members may bring a written request for any changes or modifications to any POGC Board Member.